Judy trained the EHS NZ asbestos surveyors on Wednesday this week to get them live with Alpha Tracker, Start Software's cloud-based system for asbestos surveyors and asbestos consultancies. EHS NZ are one of New Zealand's leading asbestos specialists and Judy will be supporting them out of our Australian office. Visit http://www.alpha-tracker.com.au for more information about our asbestos software systems for Australia and New Zealand. While Dan is helping out a new Alpha Tracker asbestos surveying consultancy in Washington (UK, not USA before you ask!) I'm at Tracker client Safe Strip helping to train their new trainee surveyor. 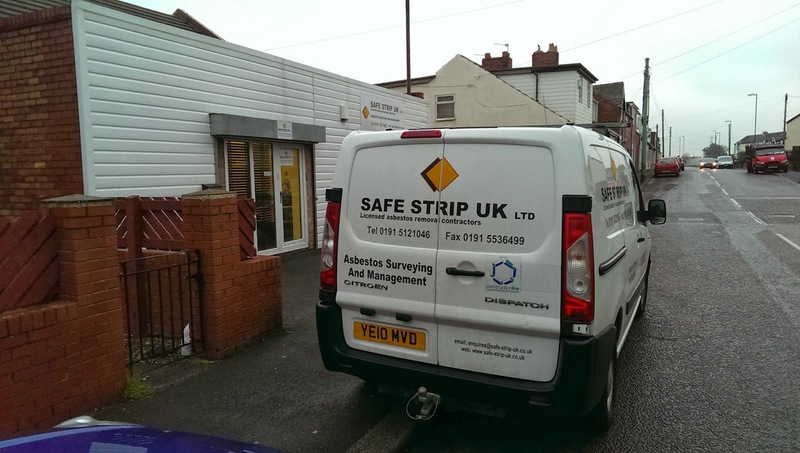 Safe Strip are a busy asbestos consultancy based in Houghton Le Spring and they have taken on another trainee surveyor to help with the workload. This new version of Tracker Web Server has additional system settings including the option of displaying hyperlinks from the site and building menus to display registers of removed asbestos items. Tracker Web Server users can contact the office to request this update. AC Environmental Services received their Alpha Tracker training today at our Telford offices and have joined the family of Alpha Tracker asbestos surveying consultancies. AC Environmental and their sister asbestos removal company chose Alpha Tracker to automate their asbestos surveying operations and provide a project management database for all of their work. They are using Sony Android smartphones for on-site data capture with our Tracker Mobile software. Contact AC Environmental through their website http://www.acenvironmental.co.uk/ to talk to them about asbestos surveying or removal works for your business. 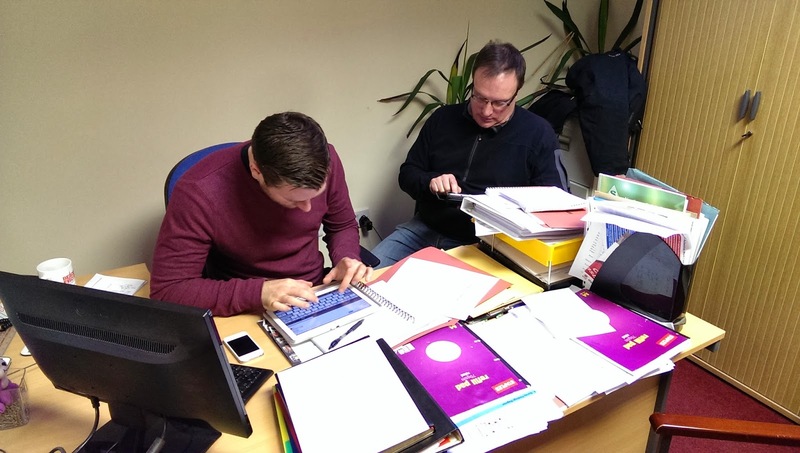 Tracker Document Service - 150 documents per hour! I visited one of our biggest, busiest (and best) asbestos consultancy clients yesterday for a catch-up. They run 3 Tracker Document Maker Service queues from their Tracker system and their IT staff monitor their queues via an Alpha Anywhere dashboard we put together for them last year. Yesterday I saw the queues running at 30 documents per hour (d.p.h.) each and was mightily impressed. Today, I've just had an email from their lead Tracker controller showing them running at nearly 50 d.p.h. each making a combined 150 d.p.h.! Very impressed indeed - it just goes to show how efficient a well set-up server farm running good software and managed by first-class IT staff can be. 3 Tracker Document Maker queues running at a combined 142 d.p.h. Can your Tracker set-up beat 150 d.p.h.? Let us know! We've just had confirmation that our trademark applications have been successful for Alpha Tracker in the UK and Alpha Tracker in Australia. This gives us more protection and underlines our status as the leading software for asbestos consultancies. 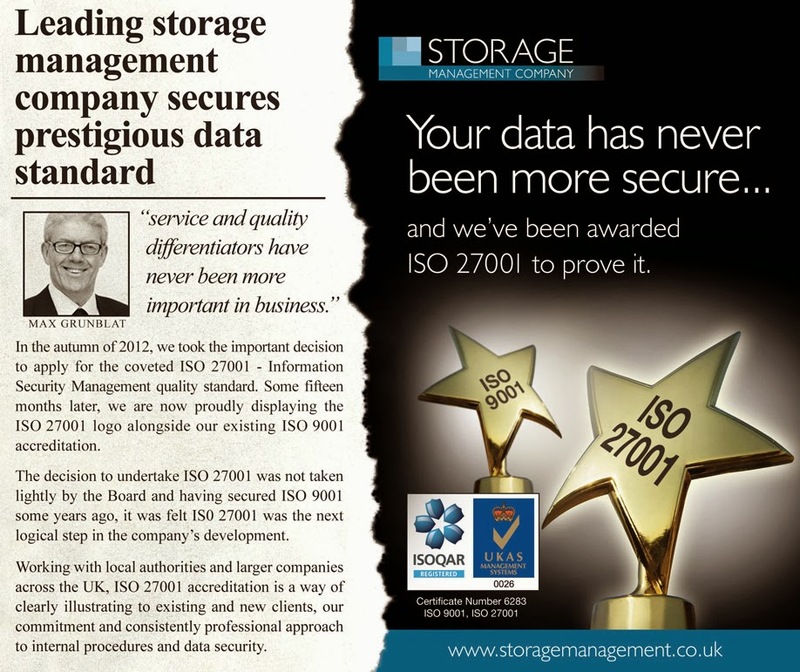 Storage Management Company has been awarded the prestigious ISO27001 Quality Award. We have written a variety of business and data management systems for Storage Management over the years including Microsoft Access-based databases, VB-based web portals and now Alpha Anywhere solutions. We are proud to be Storage Management's software solutions provider of choice. Max and his team deserve their success and it has been great to be part of their success. Alpha Tracker - the web & cloud-based software for asbestos surveyors and asbestos consultancies - now has the facility to record staff time on site via the TimeTracker mobile app. TimeTracker works on all Apple and Android smartphones and tablets (including iPhones, iPads, Samsung Galaxy phones and cameras) alongside Tracker Mobile, our handheld data capture system for asbestos surveyors. The data captured can be viewed, edited and analysed within Alpha Tracker itself and used when preparing invoices to clients or assessing job profitability. Please contact the office to discuss using TimeTracker within your organisation. Tracker Mobile, our handheld data capture system for asbestos surveyors (part of the Tracker family of asbestos software), is getting an exciting new upgrade. The next release of Tracker Mobile will allow automatic deployment to new or replacement handsets making it quicker and easier to get the software out to new asbestos surveyors or sub-contractors. ... don't open an office in Adelaide!! Poor Judy - she must be melting! We're delighted to welcome Paul Richards as the latest member of our growing team here at Start Software. 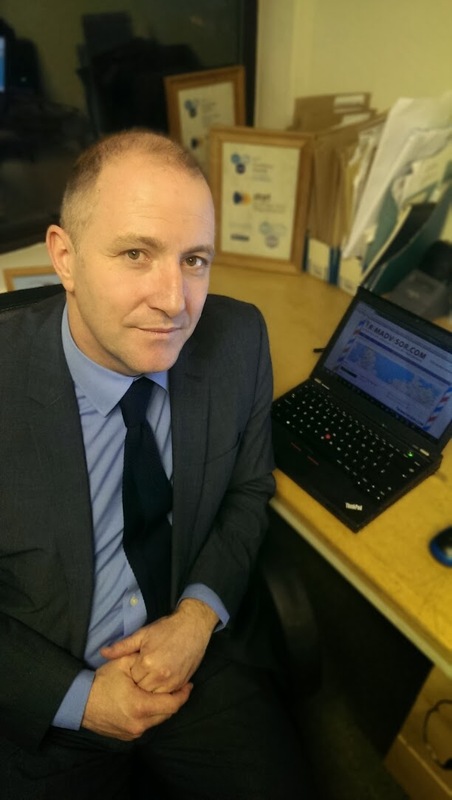 Paul has joined us to promote and sell our custom-written web-based services written using our specialist Alpha Anywhere technology. I've had the misfortune of knowing Paul for 25 years and I thought I'd moved often enough to shake him off. Oh well...!! Alpha Tracker Document Maker is the component within Alpha Tracker which generates asbestos reports, quotations and other documents. The latest version of Alpha Tracker Document Maker is now available with improved facilities for formatting reports and automatically including drawings and certificate files. We've just posted our best financial quarter ever with October 2013 to December 2013 showing a 51% increase in turnover compared to the same period last year. With such a good start to our financial year, we're hopeful that 2013/4 will be another "best year ever" for us again. The downside of being so busy with new sales is that support call volumes have shot up again so we've added another member of staff to the support desk so it is now staffed each day with 3 team members. 200 calls logged so far in January and we are only 1 week in! This latest release of Alpha Document Maker has better status and error logging. Please contact the office if you would like the update. Birmingham City Laboratories (BCL) are one of the UK's leading asbestos labs with roots that were established more than 80 years ago. BCL switched to Alpha Tracker from Start Software in 2013 and are now producing all of their asbestos reports electronically from data captured on Android smartphones using Tracker Mobile. As a forward-thinking lab, BCL are now looking to extend the use of the smartphones to capture other data from site and we are working to support this ongoing system development. We've thoroughly enjoyed working with the asbestos team at Birmingham City Laboratories and look forward to working together in 2014. 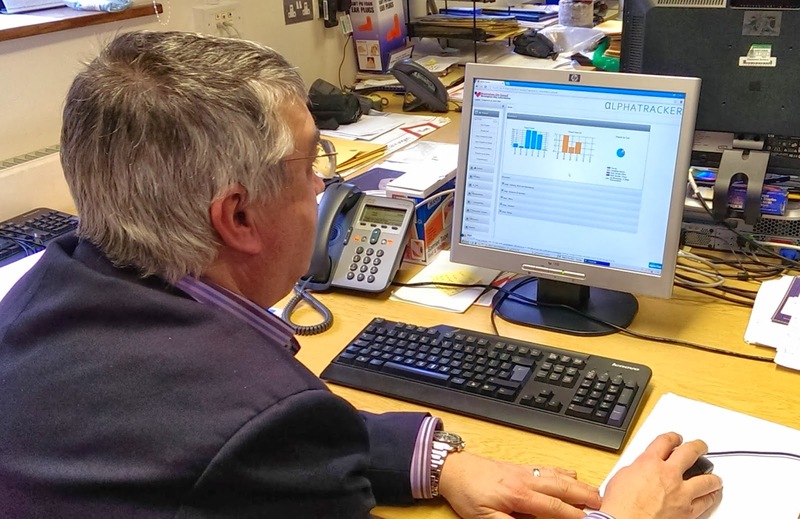 Alpha Tracker has changed almost beyond recognition since its launch with nearly 300 software updates released making it the best system available for asbestos surveyors and asbestos consultancies. The manual had fallen behind a little but we've now brought it right up to date. 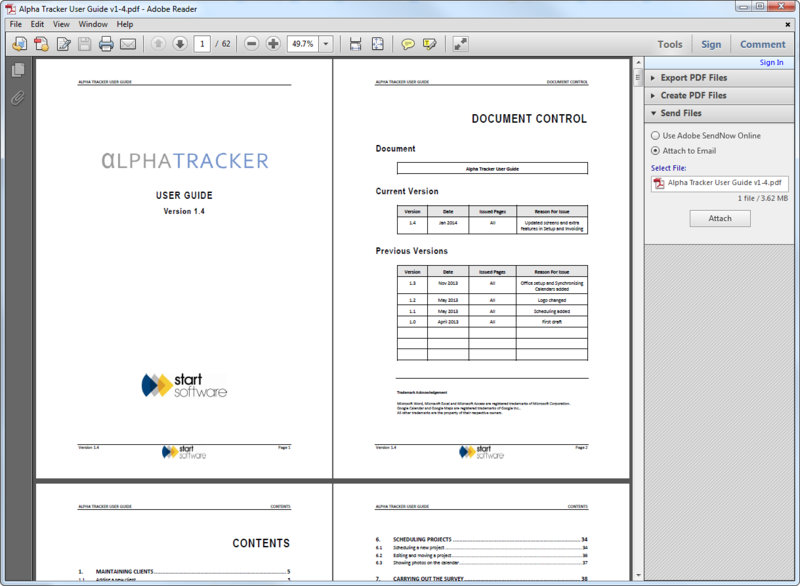 You can find the latest Alpha Tracker User Guide on our web site here: http://start-software.com/support/manuals/alpha-tracker/. You can see that the number of calls we're logging each month has gone up hugely - and that reflects the new Alpha Tracker clients coming on board; asbestos surveyors and asbestos consultancies who want to produce their asbestos reports with no fuss and zero admin. Naturally, we've invested in the support team adding an extra member of staff and a new remote support system (at start-help.com) to assist callers. With this extra investment, we are managing to respond to support calls in the time-scales our customers set us at least 90% of the time - a great performance from the Start Software help desk.